If you’re looking to experience some of the most beautiful places Ireland has to offer, the Wild Atlantic Way should be at the top of your list. Stretching 1,500 miles spanning from Donegal in the North to Cork in the South, there is so much to see and do along this route. Road-tripping up the west coast of Ireland is sure to be an amazing trip and we’ve selected some of our best stops along the way to guide your adventures! Kinsale. 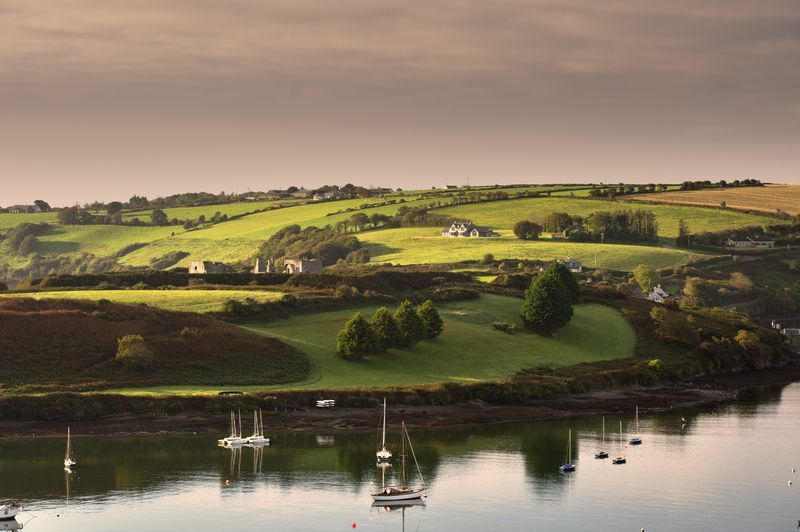 Begin by traveling west to Kinsale, which is a wonderful town, famous for it’s food and fun, located in Co. Cork. Check out the two fortresses that overlook the River Brandon and stop by Blacks Brewery for a cold pint. The town offers kayaking excursions that allow you to adventure out to private islands and see the sea arches. Sky Garden at Liss Ard Estate. 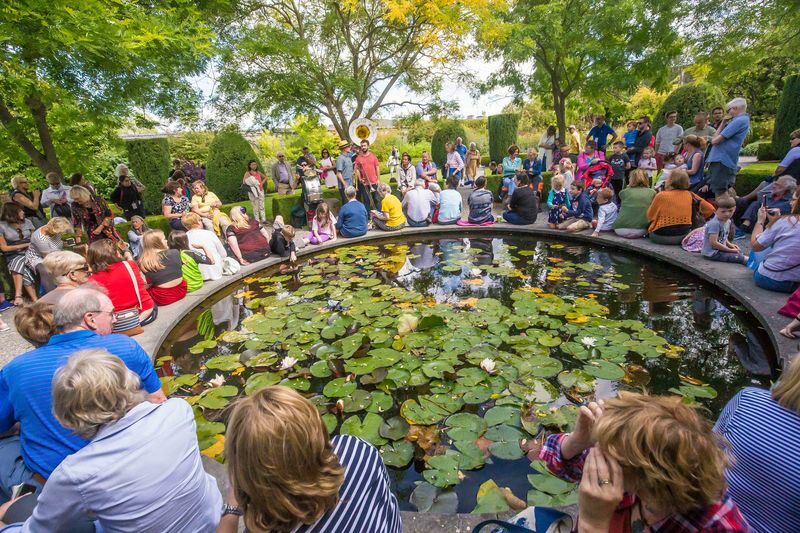 Also located in County Cork, the Sky Garden is a must-stop on your journey up the coast. It was created by earth artist James Turrell and resembles a grass-covered crater. Ring Of Kerry. 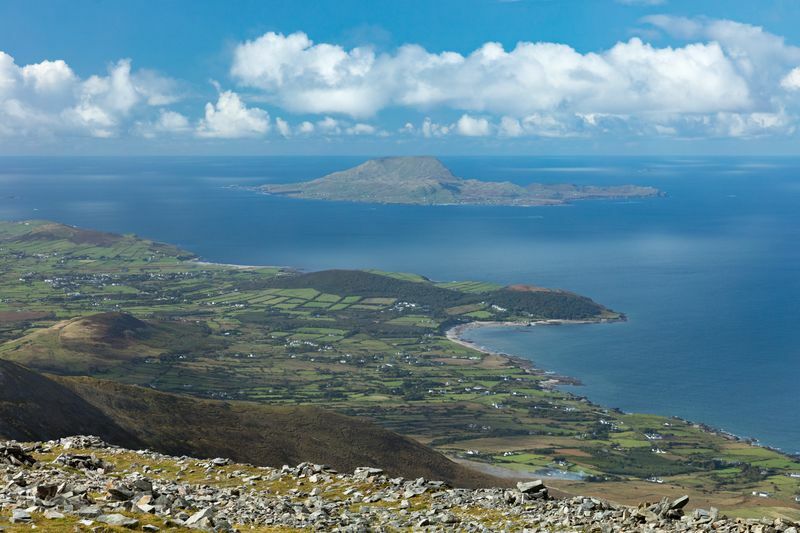 Near Dingle still in Co. Kerry, travel to The Ring Of Kerry, which contains rugged islands, beaches, dramatic mountain passes and a royal goat. Derrynane beach in particular is a great stop on this loop, with rolling green hills and smooth sands. We may want to swap 3 and 4 as the Ring is south of Dingle moving in a South to North direction. Dingle. Dingle is your next stop along the Wild Atlantic Way traveling north, and you won’t have trouble finding things to do here. Check out the Kenmare stone circle, which features a large boulder-burial ??? in the middle. Stop by the Dingle Distillery to learn about how they make their single malt whiskey and gin. Also, be sure to venture into downtown and shop the wares of the many artisans that call Dingle their home! Cliffs Of Moher. 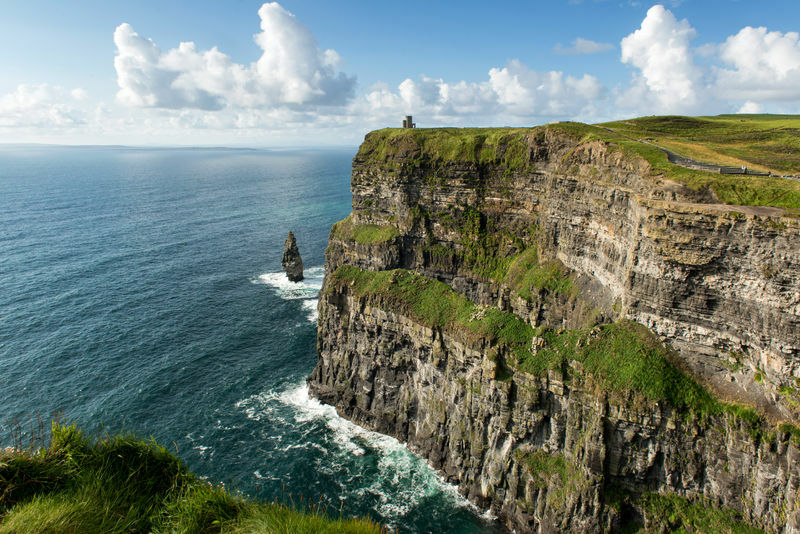 Next on your stop should be the famous Cliffs Of Moher, located in Co. Clare. These rugged cliffs facing the ocean make you feel like you’re standing on the edge of the world. And don’t overlook the Burren region with it’s unique landscape and infamous “Cork-Screw” roadway. Connemara. 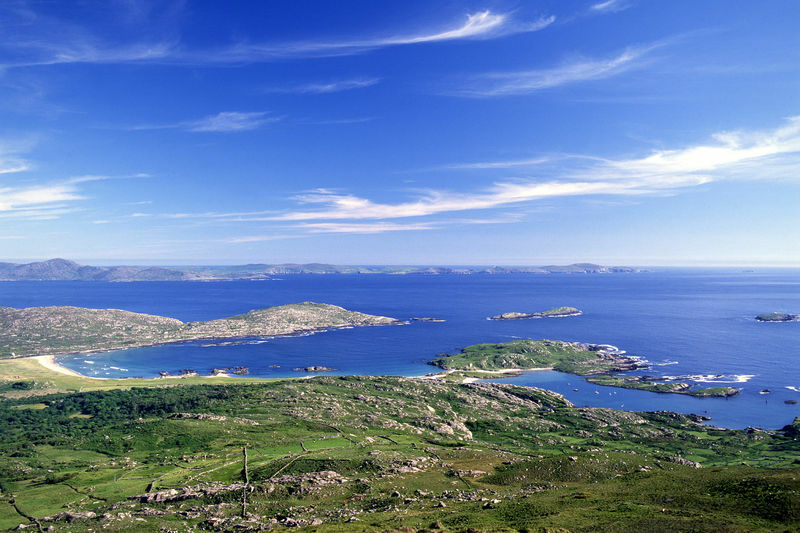 Continuing to climb up the western Irish coast, your next stop should be in the heart of Ireland’s ‘wilderness,’ Connemara. You can ride a Connemara pony along the blanket bogs and sandy beaches in the area! 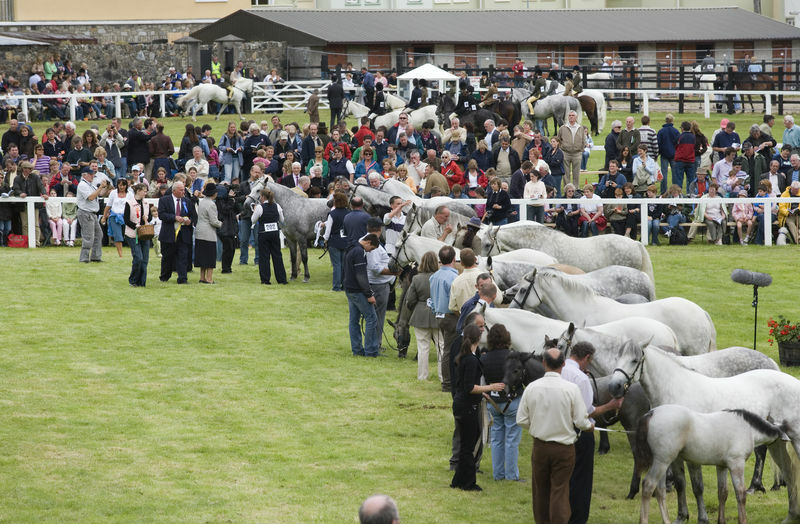 In August, don’t miss the Connemara Pony Festival in Clifden. Clew Bay. Your next stop on the Wild Atlantic Way is Clew Bay, which is a natural ocean bay in County Mayo that contains Ireland’s best example of sunken drumlins. It was also once home to Ireland’s most famous pirate queen, Grace O’Malley. 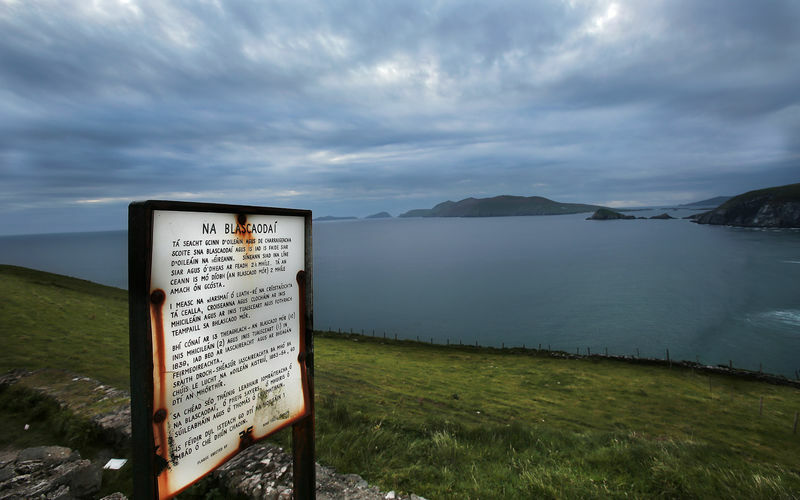 It’s said there is an island in Clew Bay for every day of the year, have fun just trying to find your favorite. Donegal. Your road trip ends in the amazing city of Donegal. 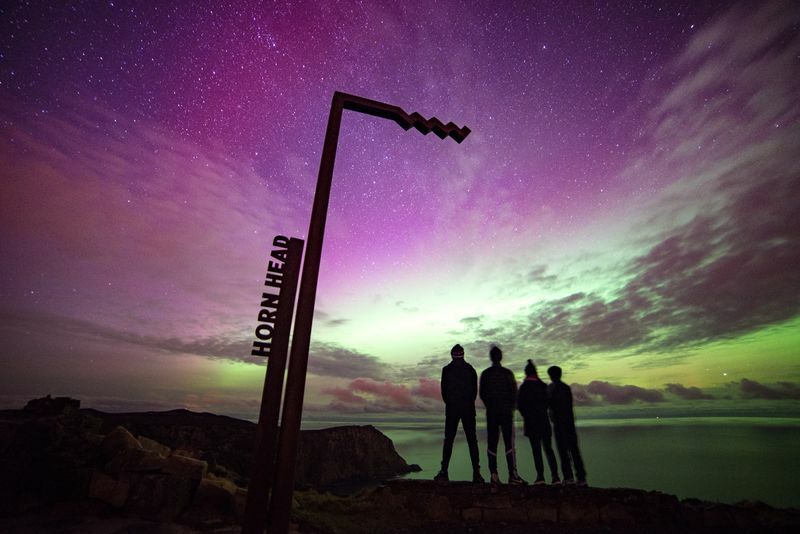 Travel to Horn Head and Malin Head in Donegal at the right time of year and night to get a chance to see the aurora borealis (or northern lights) up close and personal. Experiencing Slieve League, the highest sea cliffs in Europe and a must see and with far fewer visitors than the Cliffs of Moher will definitely appeal to those seeking a more private glimpse of natures beauty. We can help you plan a magical Wild Atlantic Way road trip personalized to your needs and wants! Contact us today to start planning.